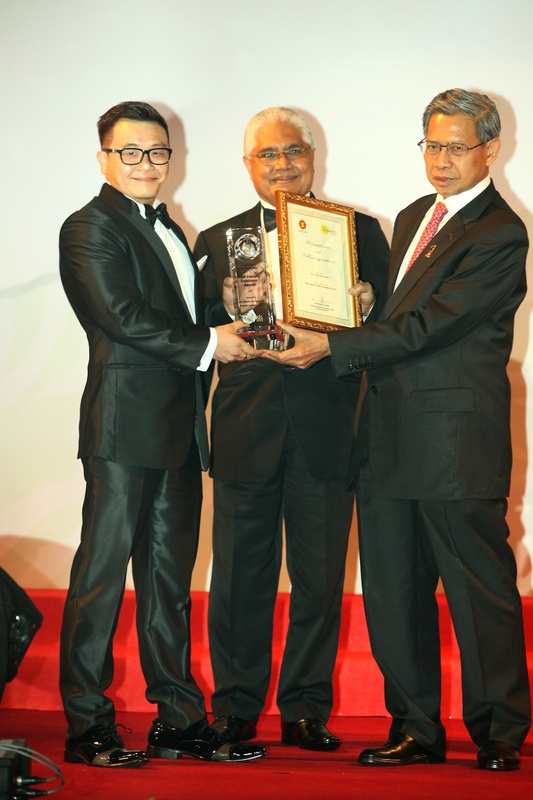 26 NOVEMBER 2013, KUALA LUMPUR — Fireworks Solutions wins the prestigious Malaysian Business Awards (MBA) Award 2013 in the ICT (Information and Communications Technology) Sector, for their cutting edge product, ‘MobiMax’, and its CEO Mr. Yanzer Lee, the Industry Excellence Award. 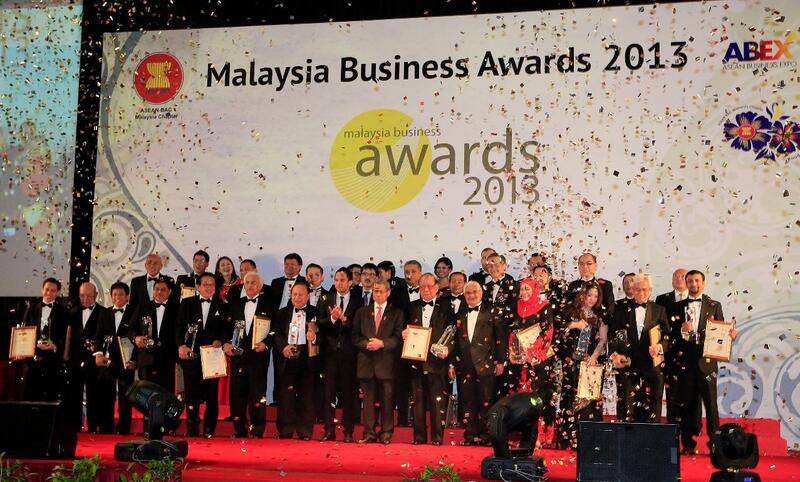 The awards ceremony was held at Renaissance Hotel on the 8th of November 2013. Distinguished guests of the evening include YB Dato’ Sri Mustapha bin Mohamad, Minister of International Trade and Industry. The Malaysian Business Awards, supported by ASEAN, is a programme designed to promote excellence, innovation and best practices in business entities and is widely regarded as the ultimate showcase of outstanding businesses and personalities in Malaysia. Since its inception in 2009, The MBA Gala Dinner is an annually much anticipated event, acknowledging exemplary leadership in business. This award puts Fireworks, in the same limelight with other winners like Malaysia Airlines, Limkokwing University, RHB Bank and other giants on the industry. Previous winners of the ICT category are industry leaders, which is Multimedia Development Corp Bhd, Sarawak Information Systems and Mesiniaga Berhad. MobiMax, Fireworks Solutions’ award-winning product, is a multi-platform mobile application that offers organizations an enterprise-ready, content publishing software that can be used on both iPad and Android device platforms. Brimming with powerful and intelligent features such as e-commerce, product catalogs, multimedia tools and customer relationship management (CRM), this software empowers a wide range of businesses from sectors of education, direct selling, pharmaceutical, publishing, media and much more. Fireworks MobiMax, has already been deployed to forward thinking organizations such as Open University Malaysia, Amway Malaysia, Amway Thailand, M-Mode Berhad and Marketing Magazine. Founder and Director of Creative Technology at Fireworks Solutions Sdn Bhd, Mr Yanzer Lee said, “MobiMax makes sense, because it provides a fast to deploy mobile publishing solution with powerful features, yet completely tailor-made for each organization”. Apart from MobiMax, Yanzer Lee had personally directed more than 600 digital innovations. With more than 10 years of industry experience, he has proudly brought Fireworks Solutions to its pinnacle today due to its strong believe in technology integration and customers’ satisfaction. Specializing in mobile apps development, mobile publishing and business online solutions, the company was established in 2003 and currently deals with various local and multinational clients, namely Open University, Amway Malaysia, Mead Johnson Asia and Canon.